Infrared curing of paint and other substances can boost efficiency within collision repair facilities. For those unfamiliar with the technology or interested in learning more, we present these two recent pieces from B-TEC Systems — a guest column from technical sales and marketing manager for infrared Peter Phillipson and a news release he wrote — into a single guest column. 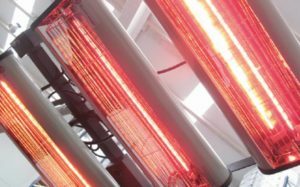 For many years, the use of infrared curing/drying equipment has been increasing. The two main benefits are the low running costs and the short curing times as compared to the convection oven or spray booth. One of the most common questions about infrared that I get asked is: What difference does wavelength (short-wave versus medium-wave) make when curing paint? To explain this, it is best to first understand what infrared is and how it works. 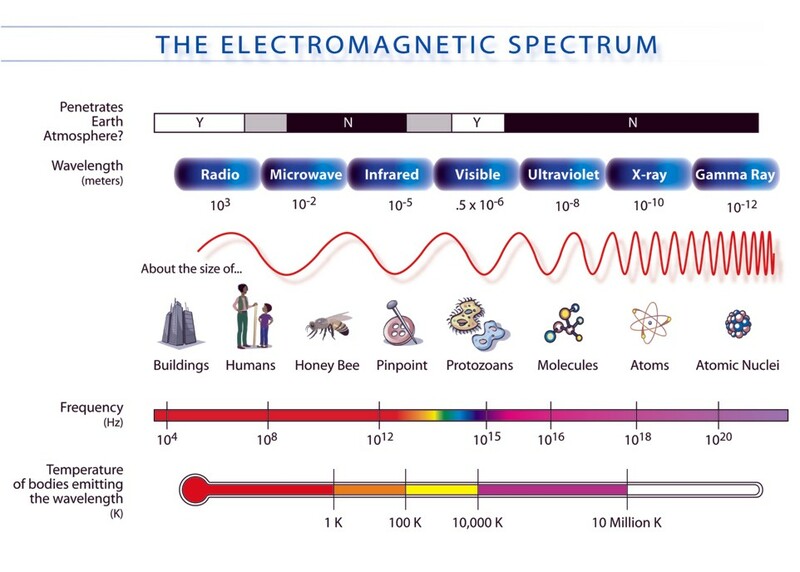 Infrared energy/radiation is part of the electromagnetic spectrum, which includes radio waves, X-rays, ultraviolet light, gamma rays, typical visible light — the list goes on. Each of these radiation types has different characteristics and functions. Infrared creates heat in an object by causing molecular motion/excitement, which creates heat. That’s why infrared energy from the sun can travel 93 million miles and not warm the air; it only creates heat in objects and surfaces made of atoms. For example, the air outside an aircraft at 36,000 feet is around -68.8 degrees Fahrenheit (-56 Celsius), highlighting this point. You sometimes hear people in the automotive refinish industry saying “short-wave heats from the inside out” when drying/curing paint, which is obviously a false statement. The paint itself is made of molecules, so infrared can not magically pass through it without absorption; the first thing that will heat up is the paint itself. I like to compare what effects infrared energy has on everyday objects when I am giving a training session. For example, compare a wooden park bench to the hood of a car in summertime. Given the same amount of infrared energy from the sun, the wooden bench is at a lower temperature than the metal hood of a car. Both are made of different molecules, and that affects the temperature reached. Short-wave infrared energy penetrates deeper into an object, so in the case of paint curing, both the molecules in the paint and molecules in the substrate (normally mild steel) generate heat. Wet paint heat buildup is different than dry paint, as the temperature is held back as liquids evaporate. As a result, you get a two-way cure: radiated energy heating the paint and heat transferred via conduction from the substrate. Medium-wave infrared, which includes catalytic systems, will certainly cure paint, but it tends to be a top-down cure, thus taking longer to produce a good cure. Both short- and medium-wave infrared are found in body shops. Generally speaking, short-wave infrared cures twice as fast as medium-wave while using half the energy. To dry/cure modern urethane coatings, the average oven is running for around 1 hour per bake cycle, including warm-up time. Reducing one bake cycle is the equivalent of taking one commuter car off the road. This might not seem like a big deal, but when you look at this globally, it makes for some interesting data. The number of quality collision shops globally stands at around 250,000. If infrared curing equipment was used by each of them on, say, two vehicles a day instead of cranking up that bake oven, that’s the equivalent of taking half a million cars off the road! That is certainly something to think about. Infrared equipment is not out to compete against the modern spray booth, but as the whole vehicle is only painted 10 percent of the time, infrared certainly has the potential to bake off those smaller jobs. This not only saves the body shop on energy costs while speeding up productivity, but also is kind to the environment. Peter Phillipson is technical sales and marketing manager for infrared at B-TEC Systems.